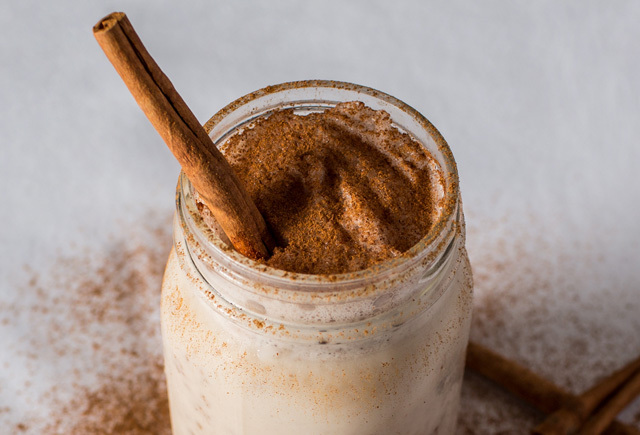 The addition of cinnamon adds a hint of the spice to this simple yet delicious shake. Measure all of these ingredients and put into your blender. 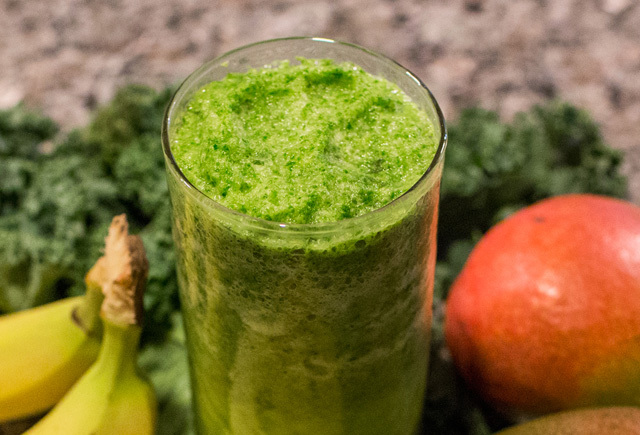 One of our favorite smoothies from one of our favorite Protiva Moms! Peel the banana and freeze it overnight, or longer (optional). 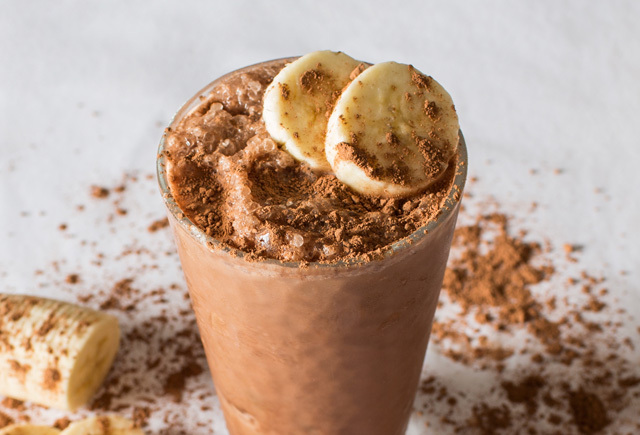 Chop the frozen banana and put it in the blender with the other ingredients. 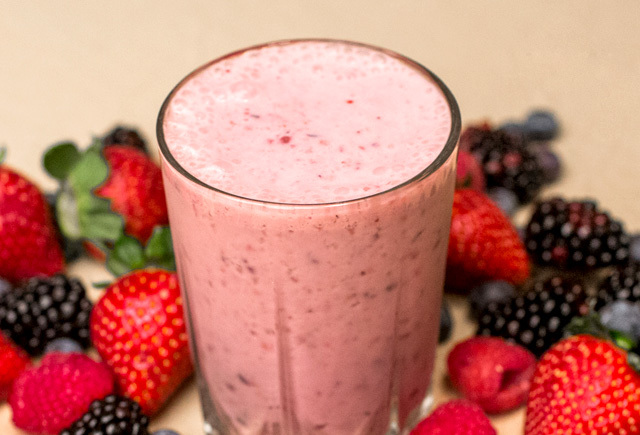 Strawberries and bananas are both great sources of fiber and potassium, and the Greek yogurt gives this shake a beautiful silky smooth quality. Peel the banana and freeze it overnight, or longer. 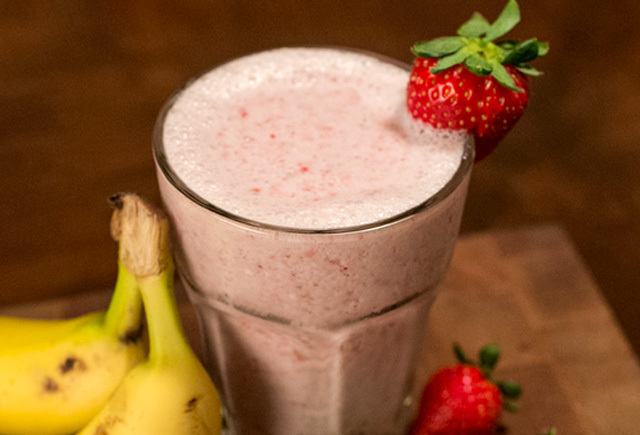 Chop the frozen banana and strawberries, and put them in the blender with the other ingredients. Perfect for a summer’s day. If fresh berries aren’t available, frozen ones make a refreshing alternative. Kale and spinach are packed full of fantastic nutrients; fiber, potassium, calcium, iron…the list goes on. 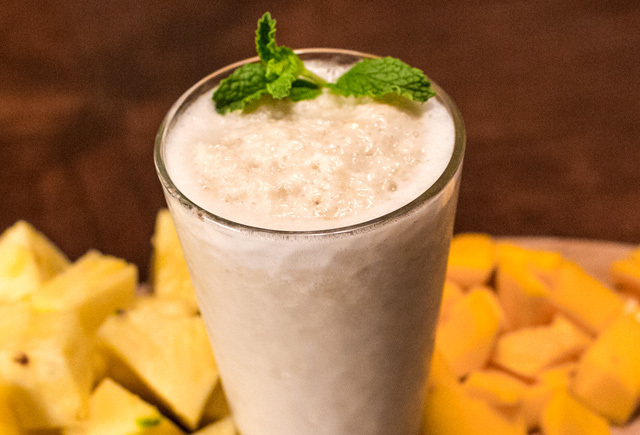 And teamed up with the sweetness of the pineapple and mango – This smoothie will help keep you going through the day! Hot outside? This shake is just what you need to cool down. Make it and sip in the sunshine, dreaming of golden sands and warm seas! Chop the pineapple and put it in the freezer overnight. Add the frozen pineapple, plus all the other ingredients, to the blender. Mix until it reaches your desired consistency. Spinach is a great source of fiber, calcium, magnesium and more. 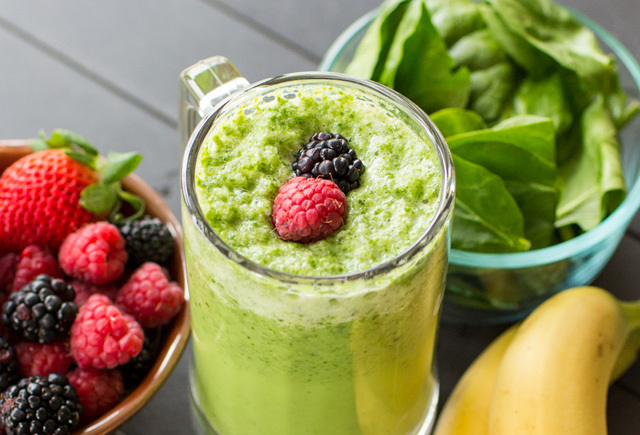 Whilst this shake probably won’t give you muscles like Popeye, it is a pocket rocket of a drink, packed with nutrients to help you keep healthy. Chop the spinach and put it in the blender, along with all the other ingredients.